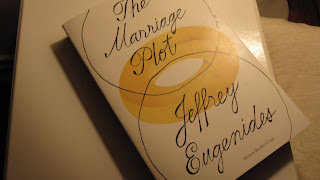 My review of Jeffrey Eugenides's The Marraige Plot is online and can be read here. 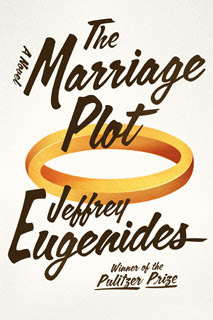 This one's a bit more geometric than the cover art that's in bookstores. They did away with the Venn Diagram, and replaced it with a big "Winner of the Pulitzer Prize" note. Both look pretty sharp, though! This was a wonderful book about young grads on their journey towards adulthood. Thoughtfully written and compelling. I was sad to finish and leave the characters!